One of the most common ways to save a few bucks is to cut your own hair. 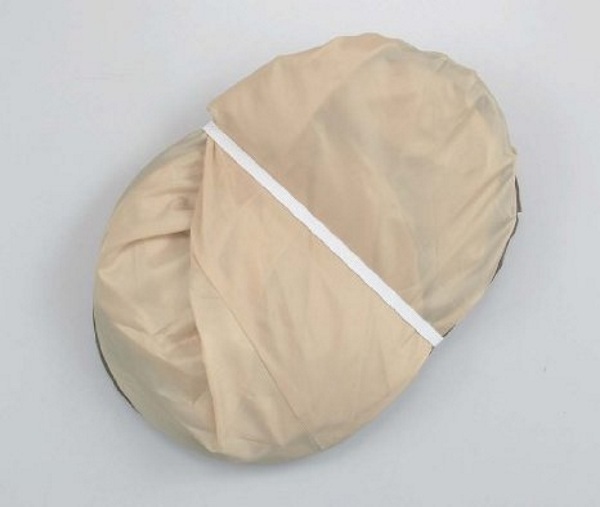 Depending on the style, this is not always a very good idea but if you must, dealing with the cleanup can be hassle free with the Home Barber Cape. Since you’ve already consigned yourself to cutting your own hair, chances are you don’t care if you look silly which is good because this is not an attractive accessory. This is like wearing an upside down umbrella on your body so that while you cut your hair, all the trimmings are collected for you so all you have to do is dump them when done. You can skip showering afterwards and shape up your hair even after getting dressed for the day! It all folds up into one bag and will fit sizes children to adults. So all you need is a bowl and you’re ready to style any guy’s hair. The perfect product for the thrifty stylist in your life. 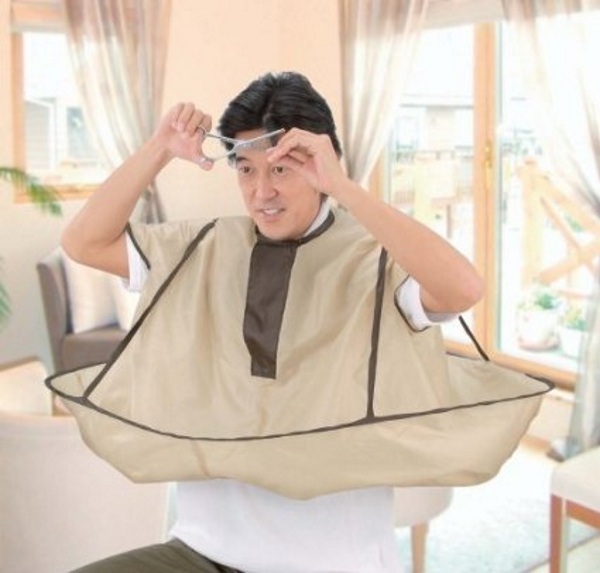 The Home Barber Cape is $15.09.